Upper Klamath-Trinity Rivers Spring-Run Chinook Salmon | California Trout, Inc.
Chinook salmon exhibiting spring run timing in the Klamath Basin are likely to disappear in the next 50 years. 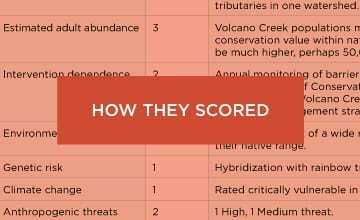 Small, self-sustaining populations remain primarily in the Salmon and South Fork Trinity rivers, where they are highly vulnerable to climate change, hybridization with hatchery-origin fish, and other stressors. What happened and why has the Level of Concern increased? Recent returns of Upper Klamath-Trinity rivers (UKTR) spring-run Chinook salmon to the South Fork Trinity and Salmon rivers represent a small fraction (< 3%) of historical numbers. Drought from 2012-2016 significantly reduced cold water during critical over-summering periods for spring-run Chinook, contributing to their decline. 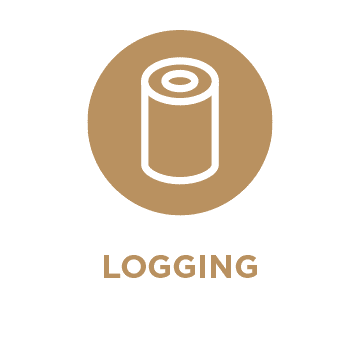 Scroll down for more information about the UKTR spring-run Chinook salmon. To read the full species account, click here. UKTR spring-run Chinook salmon enter fresh water as silvery, immature fish. They lack the breeding colors or kype of fall-run males. Spring-run Chinook salmon once made up the most abundant run in the Klamath Basin. These fish are an indicator of ecosystem health due to their reliance on cold water during the warmest months of the year when streamflows are reduced and temperatures approach their upper tolerance. Historical runs of UKTR spring-run Chinook likely totaled more than 100,000 fish annually. Over the last decade, average annual estimates have averaged less than 2,000 adults. Adult UKTR spring-run Chinook salmon enter the Klamath Estuary from March through July, with a peak in late May or early June. Spring- run Chinook salmon can migrate up to 3.7 km (about 2.2 mi.) a day, and reach the Trinity River from May through August. They hold in cold water streams from 10-16°C (50-61°F) for 2-4 months before beginning to spawn in early September, about 4-6 weeks earlier than their fall-run counterparts. 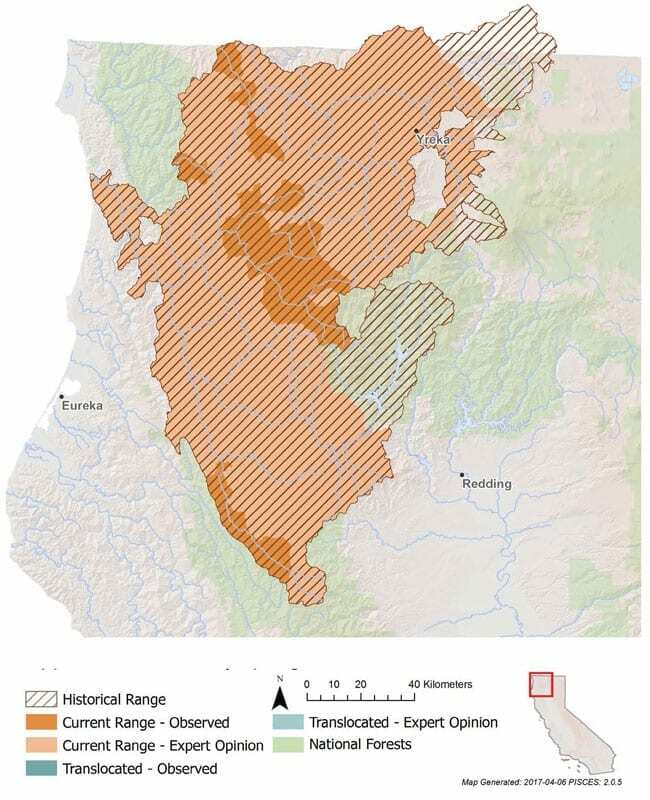 Historically, there was minimal spawning overlap between fall- and spring-run Chinook due to differences in run-timing and access to a wide variety of spawning habitat throughout the Klamath Basin. Adults require deep, cool holding pools to over-summer, such as the mouths of tributaries and areas with subsurface flow from springs or groundwater seeps. Eggs hatch in 40-60 days, usually in January to late May, and absorb their yolk sacs for another 4-6 weeks. 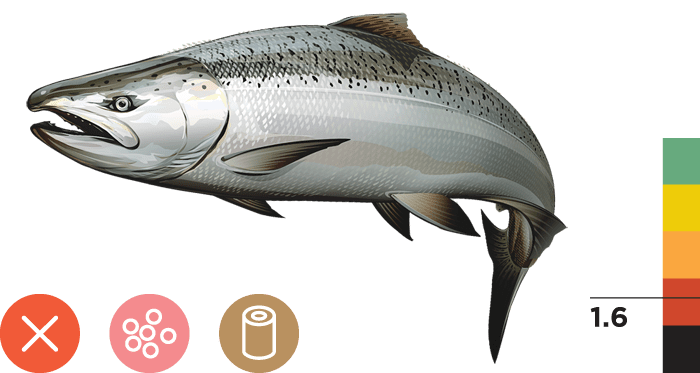 The vast majority of juvenile spring-run Chinook begin migrating downstream from February through mid-June to feed and grow in the ocean before returning to spawn at age three or four. The latest genetic studies indicate that fall- and spring-run Chinook salmon in the Upper Klamath-Trinity rivers are more closely related to one another than each is to fall- or spring-run Chinook from adjacent basins. It is hypothesized that the spring-run life history first evolved in Chinook salmon populations in California, and then spread more recently into northern populations. UKTR spring-run Chinook salmon were once widely disbursed throughout tributaries of the Klamath River upstream of the Trinity River confluence, including the Sprague, Wood, and Williamson rivers (Oregon), and the Shasta, Salmon, and Trinity rivers in California. 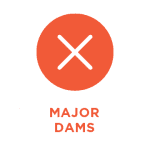 The construction of dams on the Klamath (Iron Gate), Shasta (Dwinnell), and Trinity (Lewiston) rivers block access to their historical spawning grounds. While small numbers of adults return to a handful of streams each year, only the South Fork Trinity and Salmon rivers support self-sustaining populations with little hatchery influence. Remove the four lowermost Klamath dams to restore access to historical cold water habitat, and undertake long-term restoration and monitoring in newly accessible habitat. 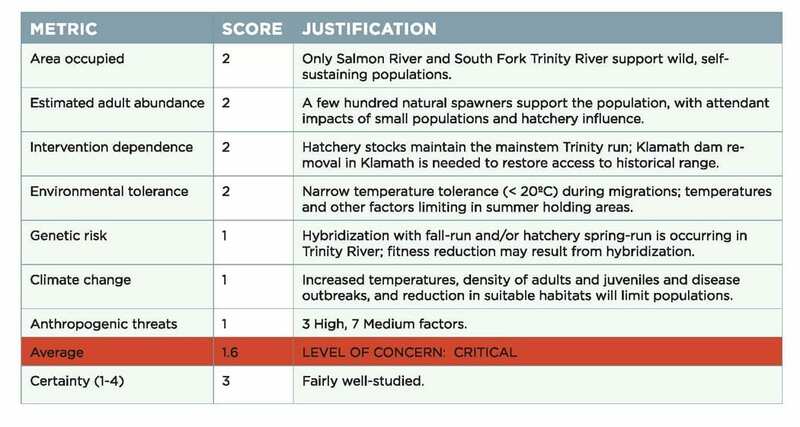 Prioritize restoration activities in the Salmon, New, and South Fork Trinity rivers that still hold wild UKTR spring run Chinook. Reduce the impacts of sedimentation from roads, logging, and other activities into UKTR watersheds. Reduce water diversions and groundwater pumping for agricultural and other uses, especially in summer, to keep cold water in streams during stressful summer and fall months. Improve habitat and flow conditions in the Shasta and Scott rivers. Climate change is likely the greatest threat to the long-term persistence of UKTR spring-run Chinook salmon due to anticipated increases in summer water temperatures and decreases in availability of cold water refuges for holding adults in summer. Removal of Iron Gate, Copco 1, Copco 2 and J.C. Boyle dams on the Klamath River is critical to allow spring-run fish back into cold headwaters of the Klamath basin. Iron Gate (Klamath), Dwinnell, (Shasta), and Lewiston (Trinity) dams block access to a majority (970 km or about 600 mi) of historical spawning habitat for spring-run Chinook. 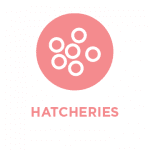 Hybridization of wild and hatchery-origin Chinook from Trinity River Hatchery, as well as interbreeding with spring- and fall-run fish in the Trinity River, may reduce fitness of wild spring-run Chinook salmon. 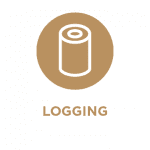 Legacy and ongoing impacts from timber operations in the Klamath-Trinity region degrade spawning areas, fill essential holding pools, increase summer stream temperatures due to reduced riparian vegetation, and remove trees and large wood that serve as important habitat for all salmonids.